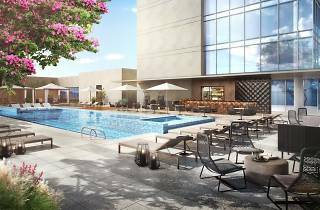 Legacy West is a new mixed-used commercial and residential development north of Dallas. The headquarters of many international companies have moved here, and it’s also a major hub for shops, restaurants and gardens (check out nearby Shops at Legacy). Whether you’re in Plano for business or for pleasure, this is where you need to stay. The modern rooms include chromatherapy lighting in the marble bathroom, a pillowtop mattress, a coffee and tea maker, a mini refrigerator, wireless high speed internet (for a fee), a 60-inch LCD television with cable or satellite and pay-per-view and an iPod dock. 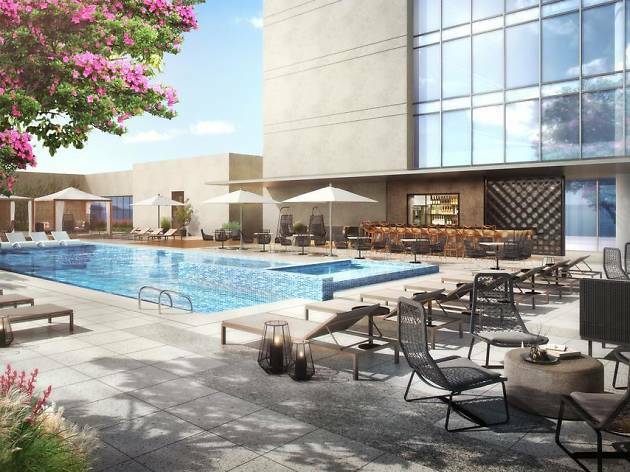 As for amentities, expect a fitness center, heated outdoor pool and whirlpool with poolside food service to relax after a full day of meetings or sightseeing. Plus, be sure to check out the hotel's on-site Asian fusion restaurant, OMA.